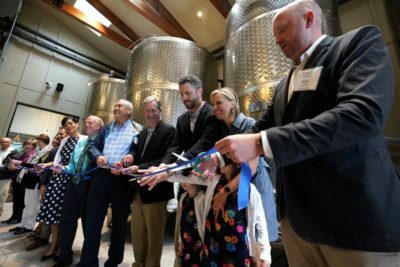 Annandale, VA – The Northern Virginia Conservation Trust (NVCT) and The Winery at Bull Run have officially conserved The Stonebridge Property, the land adjacent to the winery, in perpetuity. Jon Hickox, owner of The Winery at Bull Run, has successfully placed a portion of his land under easement, which NVCT will monitor and steward moving forward. The conserved property, totaling 90 acres, is located adjacent to the winery and Manassas National Battlefield Park. The property served as a major mode of transportation for both the Union and Confederate forces and continues to offer a historic and scenic place for education and recreation. Civil War relic displays are situated throughout the winery and Stonebridge showcasing a collection of interesting historical artifacts found on the winery property and locally. Natural land provides places for children to play, scenic views and green spaces to help improve mental health and well-being. The easement is conserving nature now and for future generations. To learn more about the Northern Virginia Conservation Trust, visit their website at www.nvct.org. The Northern Virginia Conservation Trust (NVCT) is a regional nonprofit land trust that forever conserves, manages and advocates for land that has natural, historical and cultural value to our Northern Virginia communities. NVCT works with conservation partners, local governments and private landowners to preserve, restore and steward land in Northern Virginia. NVCT’s service area includes 2.9 million residents in a fast-growing region that needs more outdoor recreation spaces. Since its founding in 1994, NVCT has protected nearly 7,000 acres in urban and rural areas. To learn more, visit our website and follow us on Twitter and Facebook. Established in 2012 as a scenic working farm vineyard, The Winery at Bull Run lies on 225 acres adjacent to Manassas National Battlefield Park and next door to an equestrian farm. 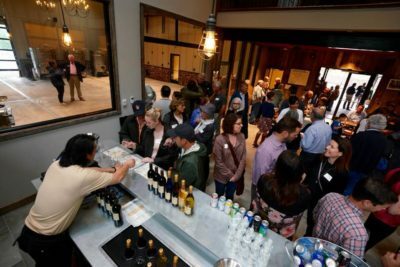 The winery itself was built to represent the two types of historic barns in Northern Virginia – a smaller 1800s-style barn and a larger 1920s-era dairy barn complete with a hayloft and hay lift cable and beam. The winery is located adjacent to the charming Stone Bridge which crosses Bull Run stream at the eastern entrance of the Manassas National Battlefield Park. To learn more, visit their website at www.wineryatbullrun.com. The easement area is 90 acres and is made up of lush forest and pasture. The protection of Stronebridge furthers the 2013 Virginia Outdoors Plan, preserves necessary park, recreation, historic and scenic areas, and conserves land and other natural resources surrounding The Winery at Bull Run. The protection of this property buffers one of the largest contiguous land areas managed for conservation purposes within Fairfax County and the Northern Virginia region. The easement area is home to three distinct water features including Bull Run stream, which is part of the watershed of the Occoquan Reservoir, a major source of public drinking water in Northern Virginia, and the Chesapeake Bay watershed. A 100-foot vegetated buffer will be maintained around all streams. The shorelines are identified as being within the Fairfax County Resource Protection Areas (RPAs), which are the corridors of environmentally sensitive land that lie alongside or near the shorelines of streams, rivers and other waterways which drain into the Potomac River and eventually into the Chesapeake Bay. In their natural condition, RPAs protect water quality, filter pollutants out of stormwater runoff, reduce the volume of stormwater runoff, prevent erosion and perform other important biological and ecological functions. The 90 acres is within a Fairfax County Environmental Quality Corridor and through the easement, trees are protected from being removed unless otherwise confirmed as dead, invasive or as a hazard. The easement also protects the viewshed of nearby lands such as Fairfax County’s Poplar Ford Park, Bull Run and the Manassas National Battlefield Park, the Hickox Agricultural Forestal District and the nearby Hickory Forest Park/Sully Woodlands Managed Diabase Forest Resource Protection Zone. This article has been featured on our site to highlight the news and updates from our members. The original source can be found on the Northern Virginia Conservation Trust website. View the original article here 90 Acres Protected at Stonebridge Property.